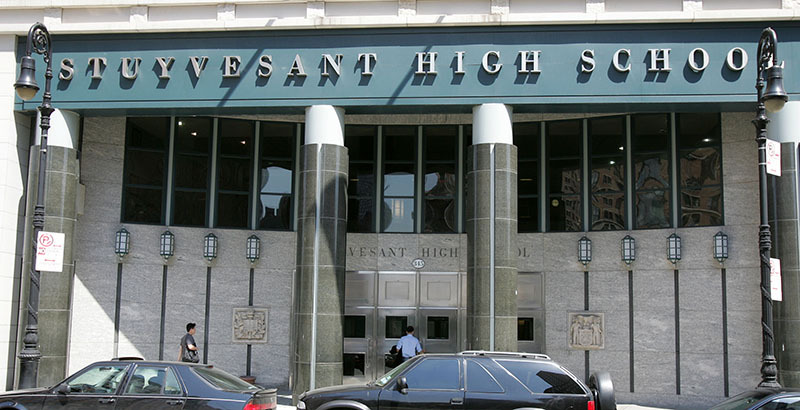 When I read that only seven Black students were accepted (out of 895 seats) to Stuyvesant High School — New York City’s most prestigious public high school — memories came flooding. I spent more than two decades working in NYC’s public schools and led the city’s high school division. A few weeks after I left the city to head the public school system upstate in Rochester, a lawsuit was filed challenging NYC’s Specialized High School Institute (SHSI). Because of my role in the district, the attack felt personal. Racial integration in NYC’s specialized public high schools has been a decades-long challenge, and those who came before me had the foresight to build a program that sought progress. SHSI focused on city schools in which students from low-income households, most of whom were Black and Latinx, were overrepresented. Accepted students completed an 18-month academic development program, preparing them for one single exam: the Specialized High School Admissions Test. In addition to increasing the number of underrepresented students in these schools, the district also doubled the number of specialized high schools from four to eight (now there are nine). Despite concerted efforts, the program was viewed by many as failing to meet its goals, especially at the flagship Stuyvesant High School. Even more disheartening, anecdotal reports indicated that Black and Latinx students who were accepted to the best of these schools asked for transfers within months of enrollment. Families who understand how to navigate the education system play the long game. They know which primary schools prepare students for acceptance at the best high schools. They know those high schools feed into the top colleges and universities, and they understand that the reputation earned from elite institutions will put their children on a path to upward mobility, or at least maintain their position in the economic hierarchy. This may not be fair, right or just, but it is true. Those who fight for the underprivileged try to create more equitable systems, or push existing systems to expand access to opportunity. After more than three decades in education, and as a parent with one child in nursery school and another heading to college this fall, my personal and professional thinking on these matters continues to evolve. My daughter’s high school provided little guidance for her transition to college, but fortunately my wife (also an educator) and I know how to fill the gap. We are the lucky ones. My job is to change the system so that outcomes aren’t determined by luck. As my understanding grows, it informs my work at the Bill & Melinda Gates Foundation. There is no point in casting blame; instead we look to the future and share lessons learned along the way. Systems change cannot be one-dimensional. As a colleague said, “we need a full pipeline perspective” that accounts for the web of issues that create and influence our current education system. As espoused by scholar Dr. Donella Meadows, leverage points can create major shifts in the system. For example, how do teacher retention, access to standards-aligned curricula, assessment, data access and literacy, school leadership, school culture, physical school environment, housing stability, nutrition and other leverage points all mutually reinforce to produce positive student outcomes. Systems change must involve students and families. The key is to do this in ways that facilitate student navigation and agency and create what has been called the “demand parent.” When I hear that students who are accepted to Stuyvesant are asking for transfers, I wonder about their sense of belonging in that environment. For a student of color, it’s not easy to move from a mostly homogenous environment, where you have plenty of social capital, to another mostly homogeneous environment where you are in the extreme minority. Through SHSI, we learned that preparing for a math and reading test alone would not solve the problem, nor does a focus on school culture or climate alone. Greater understanding of cognitive science and social-emotional learning (SEL) is making its way into schools and classrooms, and we are getting better at understanding how academic standards and social-emotional development connect. Like the families who know how to navigate, our education systems also need to play the long game. As a high school principal, I only worried about parts of the system that led students to my doors, but as a superintendent, I realized that the systems view must start at birth and last through college. Superintendents own P-12, and they can also advocate for better support from birth and better preparation for what comes after high school. In my current work, we support P-16 (pre-K through postsecondary) communities in four states, because, as parents know, we are designing access to the future of work and socioeconomic mobility. We worry about each transition in the system, from pre-K to K-12 and K-12 to postsecondary. In Washington State’s South King County, our work is focused on supporting the three learning environments that are critical to closing achievement gaps: school, home and community. Complex issues require comprehensive solutions. Elite high schools and specialized programs have an overrepresentation of White and affluent students. Implementing a single program — changing or eliminating one test over another, or pulling one lever instead of a holistic approach — will lead to frustration and failure. We have to look at the big picture and address the problem in multiple ways, across multiple environments. It’s time to take a student-centric approach, fully appreciating that we are serving students with complex, human needs in an ecosystem designed for stratification. We have a systemic problem, and we need to understand, challenge and disrupt the systems that create inequities in our communities. Closing the opportunity and achievement gap is a mandate we all can rally around. Jean-Claude Brizard is a senior adviser at the Bill & Melinda Gates Foundation.